Are you seeking to enjoy spirituality with adventure? Motor Biking Tour in Haridwar will be an overwhelmed travelling experience in the divine city that you cherish all your life. Over a decade of experience riding all over India has given us an edge in designing tours that rise above the usual destination to destination riding. Let us take you into an intoxicating mix of unseen cultures, unbelievable natural beauty, unheard myths and unimaginable experience. Haridwar Motor Biking Tour is special tour mostly for the people interested in culture & adventure. This tour starts from Haridwar Railway Station. This tour provides opportunity to experience the Indian culture, Adventure as well as day to day life of local people. Tour needs a minimum 05 hours but still you will not get tired because the whole tour you will experience something new. 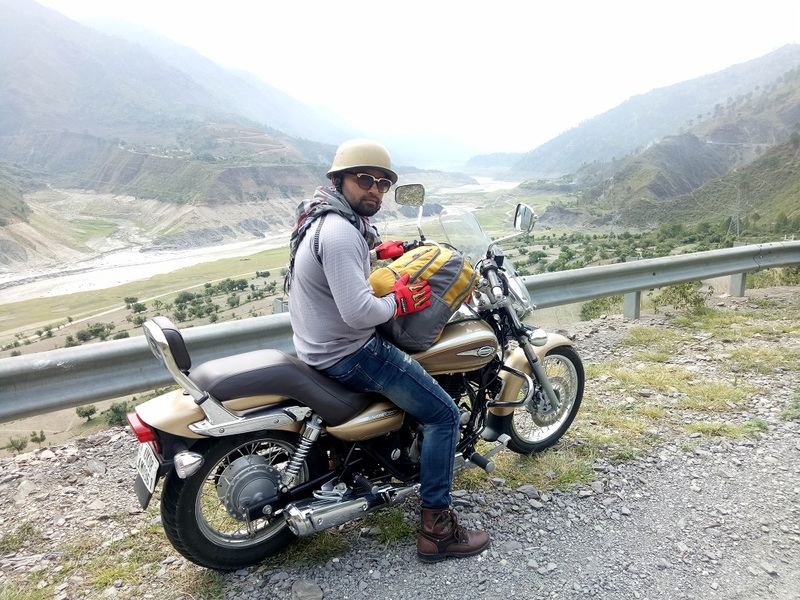 The Haridwar Motor Biking Tour contains not only visit to interesting places but it also provides opportunity to experience some interesting things such as tasting famous local food items, to see genealogy registers (more than 400 hundred year old tradition), experience of art and culture. During the Motor Biking Tour you will visit Bada Bazar (biggest & cheapest traditional Indian market in Haridwar),Mansa Devi Temple (Most visited temple in Haridwar) by Motorbike and also some interesting ancient temples. Shureshvari Devi Temple which is located in Raja ji National Park, so you can experience the forest ride. While on Motor bike you can check local shops and buy things after interesting bargaining. Last destination is Har Ki Pauri Ghat where we will watch evening Ganga Ceremony which is a very famous ceremony and visited by hundreds of Indians every day. After ceremony we will arrange small "Pooja" for you with Hindu priest for you with flower offering to Holy River Ganges. Drop you at Haridwar Railway station / Hotel. This is private tour designed for 01 person. Tour normally start daily at 12:00 P.M. Advance booking is required. Guide will meet you at Haridwar Station or at your hotel. Pick up & Drop. 01 Pax = 45 US $ single person (Rs.2750/- Approximately). Ancient Temples, Local Market, Day to Day activities of local people, Local food and Evening Ganges Ceremony. English speaking guide, Motorbike, Monument fees, Mineral water, Ganga Ceremony and all entry fees. Your personal Expense .Additional activities like meeting with an astrologer, yoga, spa or meditation are chargeable.